It was over breakfast one morning when one of those debates that zooms around the topics of religion, happiness and capitalism took place. In the course of this discussion, I suggested (and let us ignore the context for the sake of brevity) how similar malls and shopping centres are to churches and temples; nay, in fact how exactly like churches and temples malls and shopping centres are; indeed, they are our churches and temples. The rise of consumerism has led to more and more investment in shopping centres and has in turn led to a greater focus on aesthetics and record-breaking. Throughout history, religious structures have been the focus of architects and engineers who wanted to push forward their chosen fields. From 1200 to 1901, the tallest buildings constructed were, without exception, churches. It is only after 1901 that the grandeur of the religious building is overthrown. In 1913, the Woolworth Building in New York became, for 29 years, the tallest building. Modelled on European Gothic Churches, the building was actually dubbed “The Cathedral of Commerce”. Since then, no religious structure has been able to rival in height. The same goes for land area: we compare the Vatican, as the world’s largest religious space by area – 20,139 metres squared – with the world’s largest department store, the Shinsegae Centrum City, sprawling an incredible 509,810 metres squared. One phenomenon that has radically altered public life is the decline in importance of the church – specially in the structuring of villages and towns in relation to churches. Today, centrality is conferred upon shopping centres and supermarkets. House prices increase on the basis of proximity to such outlets of convenience. In many villages, it is possible to still see the Parish Church in all its glory, present at the centre of the community, perhaps next to a rustic Public House and maybe a local shop. However, when new houses are built, or new towns or even cities, this structural layout is not copied. There was a time when the Church was at the centre of notions of the apocalypse. I mean not a biblical apocalypse, but rather the many other narratives of apocalypse which human nature adores as a reminder of a collective mortality. For a long time, religion has found its way into almost all such stories. Consider, for example, H.G. Wells’ War of the Worlds. The attack of the Martians very almost destroys human civilisation. There is that remarkable scene set in a small church in Los Angeles in which a raggedly congregation seek shelter and the protection of God. This is the house that will protect them. Compare this with more modern apocalyptic tales: the church is eviscerated and secular, commercial institutions take their place. From the pub in Shaun of the Dead to the theme park in Zombieland . There is no building greater in defence or stature though, than the Mall. Whether it’s The Mist or the eponymous Dawn of the Dead, as humans, we now choose to gather in these temples that offer not the solace of religious sanctuary but rather clothing, food and the comforts of many-levels, lifts and CCTV security. Not God the Father, the Son and the Holy Spirit, but rather that Civic Trinity of Home, Work and Church. These used to be the three domains of civilian life around which our daily existences were centred. This is no longer the case. Evenings and weekends are no longer spent in contemplation in a place of worship. Weekend opening hours and late night shopping extravaganzas have imposed themselves on this older routine, nudging their way in, and nudging out the church. The Trinity most would recognise now is that of Home, Work and the Shopping Centre . And isn’t it a powerful one. With the rise of capitalism in the 20th and 21st centuries, this triangle has embedded itself wondrously in collective praxis. The earlier paradox of all-things-earthy meeting all-things-divine has now corrected itself, resulting in the wonderfully symbiotic relationship that exists between the 9 to 5 working day and the leisure time we have to spend all that accumulated capital. The Church has long demanded attendance and special attention to certain days of the calendar. Whether this be the period of Advent, or Lent, or the various Feast Days annually celebrated in the Church’s calendar, there are truly long-forged ties between church and calendar. Even today, in an increasingly secular society, there are great spikes in church-attendance on very particular days of the year: Christmas Eve, Good Friday, Easter Sunday etc. I suggest however that increasingly, we find the commercial centre exacting a similar form of calendric influence on the public. Lent becomes the pre-Easter chocolate craze, Advent the pre-Christmas rush, and the Feast days, allowing the consumer to glut his insatiable appetite, those remarkable days such as Black Friday and the Boxing Day Sale(s). We are dragged to these churches of commercial worship by a series of annually-recurring periods which mirror, if not supplant, those first established by religious institutions. 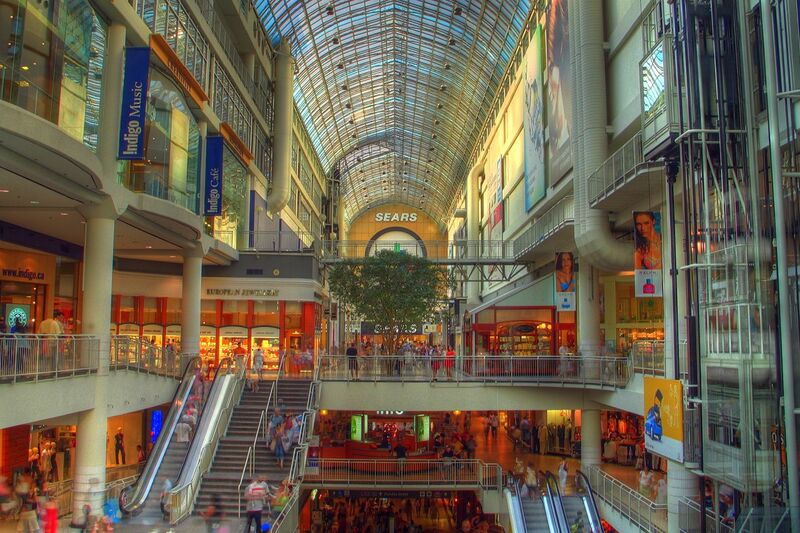 People do not frequent Malls because they are centres of commerce. People frequent Malls because they are required to. Their presence is demanded on a ritually regimented basis, like the church and like the temple. As an example of this pull, examine the phenomenon that surrounds Christmas time. All shoppers know how Christmas works: shops sell, sell, sell right up until 24th December whilst shoppers buy, buy, buy – all knowing that just 24 hours later, all these same ‘gifts’ will be available at an extremely reduced price. There is simply no economic sense in this, and it goes a long way to proving that Malls are not places of economic resonance but rather of a new form of religion. This compulsion to shop nonsensically eviscerates all relevance of money. Instead, they go because they are required, and because it is expected. In this way, it has mimicked and supplanted religious places of devotion. Whether you walk into a Mall in Leeds or London, Bristol or Brighton, you are assured of the same number of core retail outlets. Furthermore, the designs of Malls always provide a central forum or space, off of which one might enter the separate sanctuaries dedicated to the various fashion trends of the day. This is not all that dissimilar to the practice of temple-going in the Ancient World. Small shrines to particular deities offered individuals the chance of making a specific, religious choice – a choice based on their current needs. Elective cults gave the worshipper the chance to tailor his or her piety to a certain god or goddess. Personal investment into one deity or another was one of the greatest attractions of polytheism. In the free-market of capitalism, exactly the same process takes place upon entering a Mall: the individual chooses which cult/brand he or she wishes to invest in. Walk into any shop, Mall or supermarket and there is one sight you are bound to witness. 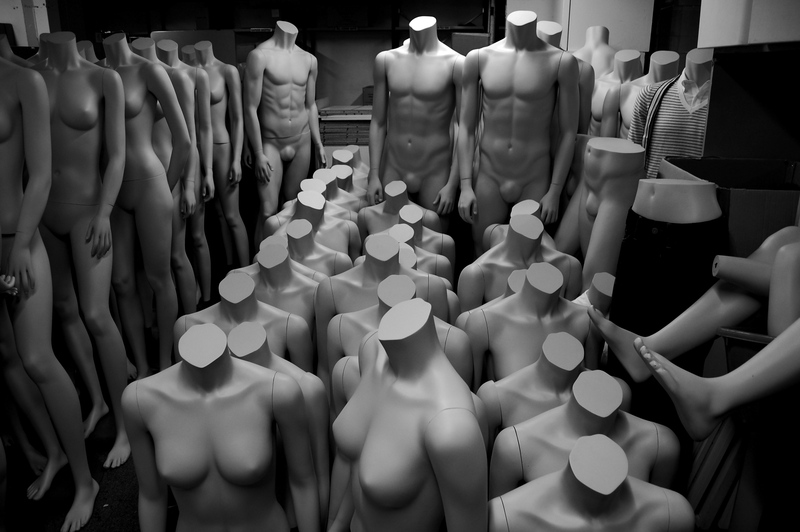 The mannequin. They come in different shapes and sexes, with different expressions and postures, some coloured, some white. The Ancient World had the same phenomenon – but you would find their mannequins in temple precincts. It is hard to exaggerate quite how prominent and plentiful statues would have been in the places such as the Athenian Agora, the Acropolis and the Forum. I might direct you to one of our most detailed eye-witnesses, Pausanias, a 2nd century AD Sophist, who records the sheer copia of statues standing in the Agora of Athens. Nor should we forget that these statues weren’t the white, marble forms we see all too often today in museums and cast galleries. These statues were painted with realistic clothing, they might be draped with flowers and would be carried – given real kinetic force! – by crowds. Head over to the Ashmolean to see their collection of painted Classical statues and you get an idea of just how realistic they might look. 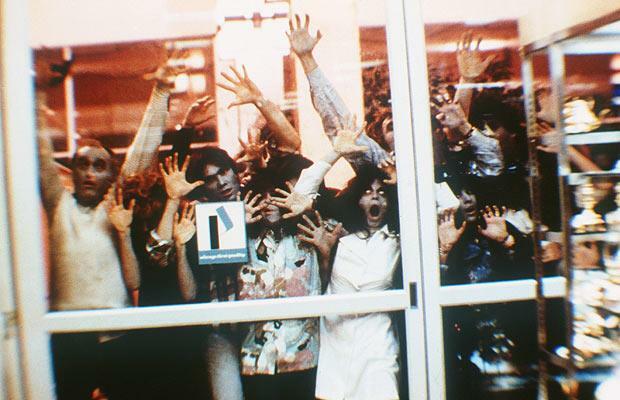 On your way back, perhaps pop into the TopMan or Debenhams.